Recently, the police interviewed part of the students supporting Jasic Incident and asked them to watch a video confession. They also “educated” the students in different levels. The contents of the video included the crimes, confessions and complaints of He Pengchao and other 5 arrested workers supporters. They stated the root of their “ultra-left” thoughts that China is not a socialist country anymore because Reform and Open is a capitalist restoration and that only through a violent revolution can the proletarian regime be recaptured. He Pengchao admitted that he plotted Jasic Incident all by himself in order to satisfy his desire for control. The video also declares that all the pioneers who supported Jasic workers were from an illegal organization. Various progressive societies on campus, which functioned as deceiving unsophisticated college students and enticing them into inciting subversion of state power, are “subordinates” of the organization. However, is truth like the above? We will make the analysis in the following two aspects. First,Is Jasic Incident “self-directed and acted”? At first, the reason why the workers decided to form a labor union was exactly to crush Jasic’s bans: long-existing harsh management, illegal underpaying system, violation of employee’s privacy, etc. In March 2018 when there is no days off, forcible pedestrianism ignited workers’ anger. Progressive workers like Mi Jiuping demanded to form their own labor union and got the permission from the general union of the district. Within a few days, 89 workers had supported them. Apparently, it is their common desire to form a labor union. The desire and the uniting of workers are but an irresistible trend of the long-existing contradiction between labor and capital at Jasic. The video avoided such reality and made a big fuss with words like “organization” and “manipulation” instead. The incident of workers’ maintaining legal rights is garbled into a “workers’ farce”, into which “good living conditions of workers” are drummed into. It is easy to know what is covered up when they fabricate a false peace painstakingly. Since the Reform and Opening Up, the social status of workers suffered a disastrous decline along with the advance of marketization. Old workers of state-owned enterprises, the former national builders, descended to labor force and led a tough life in primary needs like medical treatment and housing. 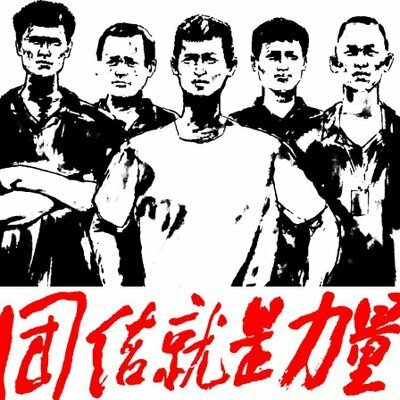 In 2009, tens of thousands of workers from Tonghua Steel, a state-owned enterprise, went on strike in an organized way, strongly protesting the involvement of Jianlong Group, a private capital. The workers rushed into the building angrily towards the initiators. Finally, they won the battle and drove Jianlong out of Tonghua Steel. However, there are always new things from contradictions. Workers in the storm has begun to realize that only a unity has the power to improve their tragic lives. Hence, collective rights activism went on stage throughout China one after another. The sparks of fighting will eventually terminate the desperate darkness. In 2010, workers in Honda Automobile Factory successfully won a 33% increase in wage after several months of strike! In 2014, workers in Guangzhou University City defended their rights through a 15-day strike and negotiation, reaching an agreement with the employers! In 2018, we witnessed strikes involving tower crane operators in various parts of the country, take-away food carriers and sanitation workers in Shanghai and Jasic workers in Shenzhen. Struggle and hope are conceived. During Reform and Opening up, workers suffering from pneumoconiosis are the first batch of victims who descended from masters of China to employed labor force. Currently, there are more than 5 million patients with occupational diseases. They built up prosperity but had themselves lay on sickbeds, with every breath bringing about severe pains. At terminal stages, the patients can but sleep by kneeling and linger out a feeble existence. Desperation propelled them to unite. Now it is the 11th year of the struggle of workers with pneumoconiosis. In the past years, they have gone through perfunctoriness, cheat, suppression， disintegration and multiple repatriation by the authorities. However, they have chosen to stand up before kneeling. Frustration will not foil their will, but stimulate them to grow faster instead! As is seen, organizing, uniting and resisting have accorded with the will of the people under ever-violent class oppression. Such historical trend makes it inevitable, and progressive, and typical to stabilize the union of working class, which is exactly the motivation of Jasic workers! Police in Guangdong, regardless of workers’ living conditions, ruthlessly suppressed them and determined the nature of their rights defenses as a farce. Now they are deliberately planning to label them as crimes in order to take the voice of righteous indignation by the throat and ensure that their masters will continue to plug their ears with ease! However, Marxism tells us that social being determines social consciousness. Facing with increasingly fierce class contradictions, no matter how they deceive themselves by fabricating a false peace, the boiling water will never submit to a light pot cover. The rebel class consciousness of workers will inevitably break through all the obstacles! Second, are left-wing students coerced mindlessly? The most classic and ridiculous point of the video is that left-wing societies of college are mispresented as “swindler institutions” which painstakingly coerced the unsophisticated college students to the ultra-left. However, what exactly is “ultra-left”? According to China Labor Bulletin, there were more than 1,700 collective worker actions in China in 2018. During a survey from 2015 to 2017, it included 6,694 cases of workers’ collective actions. The control of speech was so strict that even the posts reporting a large-scale strike of OptimumNano in Pingshan was collectively deleted by main media last year. It is conceivable that there are still many worker-rights movements being concealed. A worker who has worked for more than 20 years in about six cities once said, “the factories are all illegal, but seldom investigated”. It is the common thinking of thousands of thousands of workers. With universal exploitation in Chinese factories, how can it be that the illegal factories were carefully chosen? In this way, the universality is said to be specific and the reality illusory. Who is “ultra-left” and “coercing” others indeed? The video confession also tells us that the reason why left-wing youths put down their studies and devoted themselves to the bottom is that they were “ignorant of world affairs” and “morally hijacked”. Then being “isolated” in the society, they failed to study so that there was no way out but such “crooked ways” after graduation. It turns out that from their perspective, the most energetic youth are but a group of puppets! Nevertheless, the fact is that every youth who made progressive choices relating the path of life had experienced harsh ideological struggle. Classrooms are never small, but in order to serve the workers more, they are obliged to make a fresh and overall comprehension of them, and virtually approach them in practice. Therefore, they chose to dedicate their limited time to the bottom as much as possible. Reality is always the best material to educate people. Whenever we think of the suffering of workers: 6 million pneumoconiosis patients or tens of thousands of broken fingers every year at Pearl River Delta, we relieve obsession towards academia. As intellectuals mastering the theoretical weapon: Marxism-Leninism, the left-wing youths has experienced the enslavement of the class society to the vast number of workers, and has appreciated their matchless motivation and spirit to rebel. They resolutely decided to realize the combination between workers and students to propel the struggle of the working class. Should the attitude towards such progressive choices be to defame rather than praise? The Marxist-Leninists are by no means without feelings. Their feelings are merely about the common causes for laborers of the world instead of themselves. With time going by, they became nonchalant to selfish interests. Only common beliefs will hold together kinship, friendship and love. Facing such an awe-inspiring road, the evil forces in the public securities became feeble. They had no choice but to blindly copy the accusation like “ultra-left” and “illegality” for the society. The following three purposes are plotted simultaneously: to confuse the thoughts of college students, to arouse the resentment of parents and the masses not knowing the situation, to sensitize the concept “combination of workers and students”. However, the conspiracy is destined not to become bright. In the class society, the contradictions will only intensify. An increasing number of youths will wake up with a bounce when touching the reality. The road of combining workers and students will surely become their life choice and develop wider all the more! What is the significance of this video confession? They cunningly intend to use this confession video to completely undermine the significance of Jasic Movement and the legitimacy of the combination between students and workers. In order to nip the resistance in the bud and keep themselves safe, the evil forces in politics-and-law systems continued to exert press on all the righteous who support Jasic Movement with the concocted video confession. They have tried their best: for students on campus, they tried the carrot and stick approach to indoctrinate them with the argument of “illegal organization” and threat them with their studies, families and even arrests to force them to “confess”. For other comrades in prison, they must have extorted confessions by torture in order to get that they want. Meanwhile, they described the progressive societies on campus as illegal organizations which deluded students. In this way, they can say, “You see, that’s the truth! Participating Jasic Incident is participating illegal organizations. Jasic incident is but a self-directed farce!” If there are ever such protests in the future, the progressive youths will become accomplices to incite overthrow of the regime. Video confessions will definitely cause ideological confusion among the masses. Unknowing masses may be blindfolded by the lies into believing that there is a conspiracy behind it whenever they inadvertently see the video with reactionaries’ incitement. The spread of the confession also brought about negative moods among some left-wing comrades. They believe that the movement has caused so many sacrifices and the situation is not promising. They even doubt the significance of previous struggles. So to speak, the video confession is deliberately aimed at thoroughly cracking down the strongest forces of the left wing with the charges. It is undoubtedly a huge challenge to the left-wing groups! Nevertheless, the history is moving forward regardless of being covered up with empty lies. The boiling water has shouldered a crack on the pot lid and the masses will sharpen their eyes with the education of realistic contradictions just like the inspired masses during Jasic Movement. Those not affected by lies will look through the dark essence of the reactionists’ plot and thus strengthen their beliefs in struggling. It is true that Jasic Movement has suffered heavy loss by now. However, on the road of resisting oppression on workers, sacrifice is inevitable and will not undermine the significance of the movement. It is a new chapter in the history of the combination between workers and students, having led all the left-wing groups bold enough in resisting oppression in front of people from all over China, even the world. It enabled the qualified left-wings to unite and forge a group of young pioneers. The movement also united groups of people around the left wing and effectively cracked the arrogance of the reactionaries. Facing with the sacrifices, we should not be frightened into submission by the superficial power of the reactionaries because they are losing people’s support behind their crazy counter-attack. Instead, we should get reorganized, summarize the experience and lessons of Jasic Movement, remember its great significance, take over the great flag and keep going with more firmness as soon as possible. The future road is a bright one waiting for us to go on exploring.